Part of our Giant Range of Vintage LED bulbs, the giant bulb is an enlarged version of a classic lightbulb. This gives an ideal aesthetic in any application that requires a Vintage of Industrial appearence such as , clubs, pubs, bistros, and restaurants. 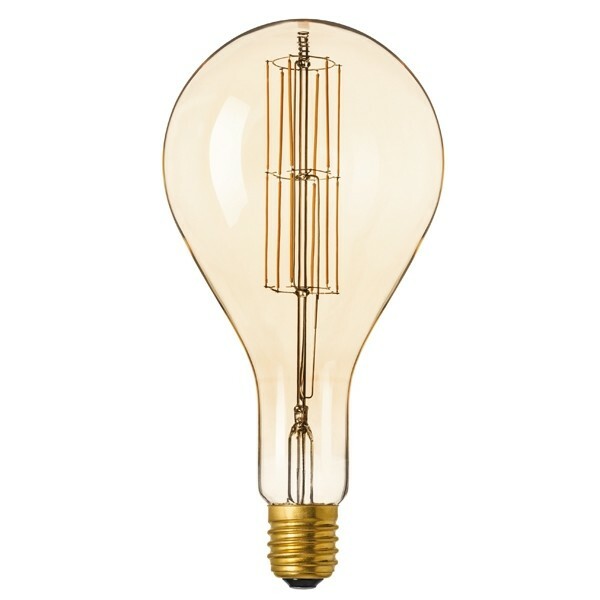 This bulb has a Gold or Antique Bronze finish that creates a perfect ambience in any of the above applications.